Energizer batteries can be counted on to provide long-lasting and dependable power for all battery-operated devices used in the workplace. Energizer batteries incorporate the latest in battery technology with improved performance because of the advanced manufacturing processes and strict quality control. 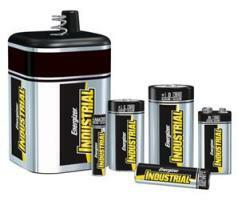 Energizer Batteries deliver unsurpassed reliability and performance.